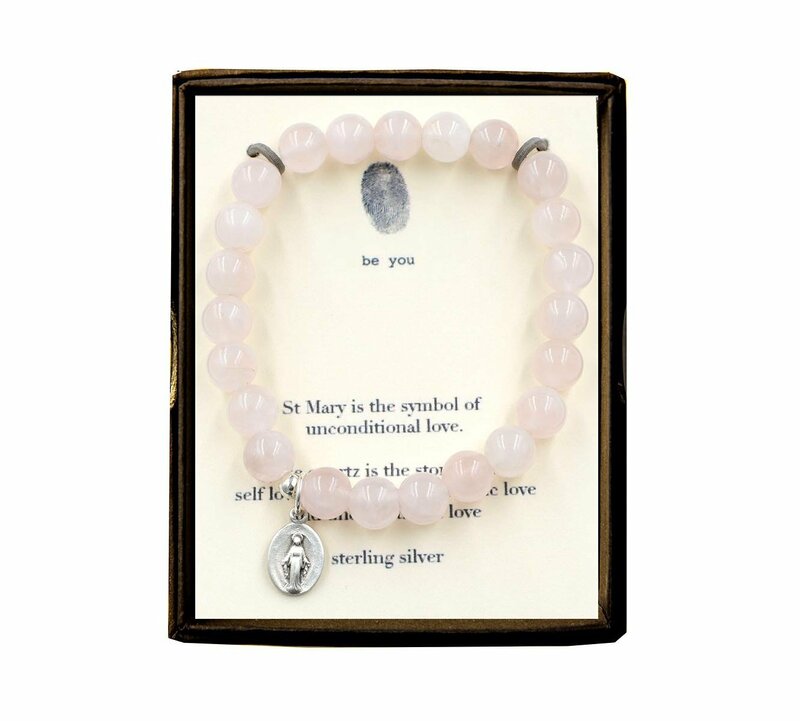 Rose quartz beads and sterling silver Blessed Mother Mary charm bracelet stretches to fit most wrists. Rose quartz is the stone of love and the Blessed Mother unconditional love. Perfect gift for the mother in your life. Handmade in the United States.